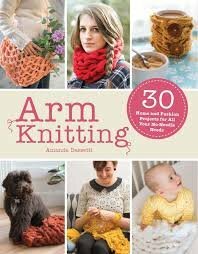 What's totally trendy, easy to do, and the most fun you can have with two arms, some yarn and 30 minutes? Arm knitting! The knitting world has embraced it, and once you start, you'll understand why. Free yourself from cumbersome needles and create gorgeous knits that are unstructured, striking, and beautiful in a whole new way, faster than you ever thought possible.